The timeline shows Wayfair's annual revenues from 2012 to 2018. The home goods e-retailer generated 6.8 billion U.S. dollars in revenues in 2017, up from 4.7 billion U.S. dollars in the preceding year. 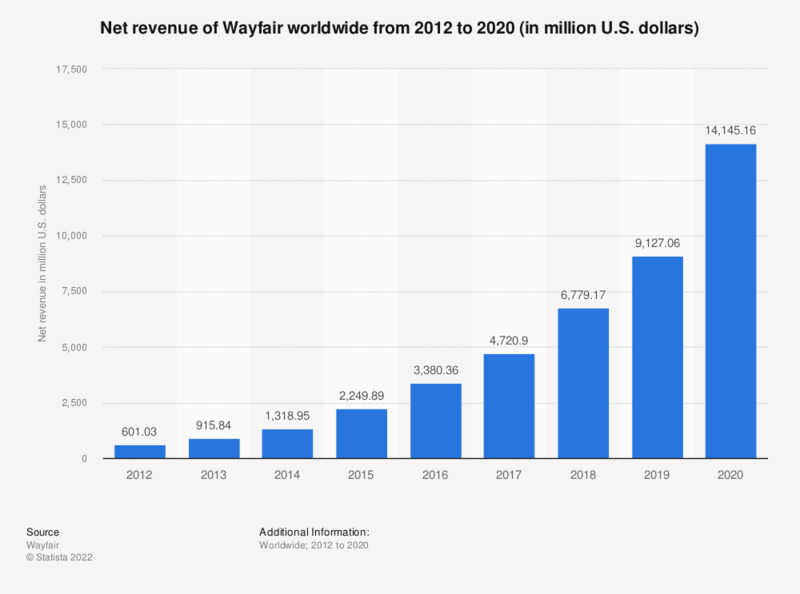 Wayfair generates the majority of its revenues via direct retail sales.